Cristina Sánchez (Madrid, Spain, 1971) graduated in Biology at Madrid Complutense University in 1994. Once graduated, she joined Dr. Manuel Guzmán’s laboratory, where she studied the effect of cannabinoids on lipid and carbohydrate intermediate metabolism first and on cancer cell proliferation later. 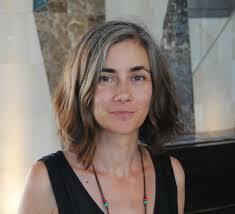 She obtained her PhD with Honors in Biochemistry and Molecular Biology at Complutense University in 2000. During her postdoc at Dr. Piomelli’s laboratory (University of California Irvine, 2000-2003) she studied the involvement of another group of bioactive lipids (lysophosphatidic acid and related compounds) on pain initiation. In 2004, Cristina returned to Spain and she started coordinating a new line of research within Dr. Guzmán’s laboratory. The goal of her research is to understand and exploit cannabinoids as potential antitumoral agents in breast cancer. More recently, she has also focused her attention on new cannabinoid receptors and their possible involvement in cannabinoid antitumoral action in breast cancer and other type of tumors.